For a long time, the enterprise WAN market was dominated by MPLS (Multiprotocol Label Switching). However, an increase in mobile and cloud computing in the 2010s created a paradigm where MPLS simply isn’t flexible enough to be an ideal fit. As a result of these changes, we have seen a surge in SD-WAN popularity. As more and more enterprises realize the benefits, we are seeing SD-WAN begin to move from the early adopter stage to the mass adoption stage in the WAN space. While MPLS is still popular, not only have enterprises been voting with their dollars to indicate SD-WAN is the way of the future, industry experts agree. Gartner has even stated that SD-WAN is “killing” MPLS. However, it is important for enterprises to understand that not all SD-WAN offerings are created equal. While each flavor of SD-WAN will offer several inherent benefits, specifically some form of bringing policy-based routing to the WAN, there is a non-trivial amount of variance among the offerings available today. Below, we’ll help explain a number of differences between current SD-WAN market offerings and explain why SDWaaS (SD-WAN as a Service) is uniquely equipped to meet the needs of the modern enterprise WAN. Generally speaking, SD-WAN solutions offer a myriad of benefits when compared to legacy WAN solutions like MPLS. Software-defined, policy-based routing that enables the use of multiple transport methods (xDSL, 4G LTE, cable, etc.) 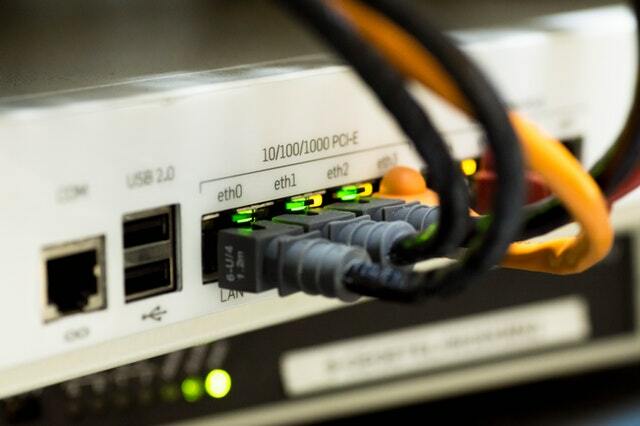 and the ability to leverage affordable public Internet bandwidth as opposed to expensive MPLS bandwidth are two of the most well-known benefits. Additionally, SD-WAN helps solve performance issues inherent to MPLS and cloud computing such as the trombone routing problem (where cloud-bound traffic is inefficiently and expensively backhauled through a corporate HQ or datacenter prior to being routed to its destination). In short, SD-WAN is more flexible, affordable, and cloud-friendly than legacy WAN solutions. Before we begin to compare SDWaaS to the other SD-WAN models, let’s define some of the characteristics of SDWaaS. In addition to offering standard policy-based routing features common to all SD-WAN solutions, SDWaaS offers enterprises access to a robust, resilient, private backbone supported by Tier 1 ISPs (Internet Service Providers) and backed by SLAs. Further, SDWaaS providers maintain PoPs (Points of Presence) across the globe. These two characteristics add a unique layer of reliability and robustness to SDWaaS. Additionally, SDWaaS offers an integrated security stack without the need for hardware appliances. This helps streamline IT operations, and enables mobile software clients to easily access enterprise WANs from anywhere with an Internet connection. With an understanding of the characteristics of SDWaaS, we can begin to explore why it is uniquely positioned to maximize benefits to the enterprise when compared to other SD-WAN solutions. Here, we’ll explore some of the more popular SD-WAN models and explore how they stack up to SDWaaS. Select SD-WAN vendors offer enterprises services that chain services together to combine SD-WAN with security appliances. Usually this involves redirection of traffic to physical security appliances or cloud services. In this scenario, the physical appliances create a significant support and maintenance burden, while the cloud security solutions are only useful for Internet-bound traffic (and often limited to only HTTP(S)). In short, these solutions are far from holistic and only offer limited security benefits. Carrier-managed SD-WAN is another popular SD-WAN model. In this model, a carrier effectively packaging third party SD-WAN solutions with third-party security solutions on their network. At the end of the day, the service provider is still stuck with provisioning, maintaining, and managing a patchwork of third party devices. The end result is enterprises are limited in where and how they can obtain service. If the carrier is unable or unwilling to service a particular area, the enterprise must make accommodations to leverage a different solution. This can make an enterprise WAN less flexible than is ideal and lead to unnecessary complexity. Cloud-based SD-WAN services offer enterprises access to SD-WAN in the cloud. At first glance, it may be easy to mistake cloud-based SD-WAN for SDWaaS. However, standard cloud-based or cloud-hosted SD-WAN requires SD-WAN nodes for path selection and the service is run entirely over the public Internet (i.e. there is NO private backbone). This lack of an SLA-backed backbone is the major downside of cloud-hosted SD-WAN when compared to SDWaaS. Scalable– As SDWaaS offers integrated security and a number of PoPs across the globe, scaling your WAN to enterprise levels is significantly easier than with other models. Secure– By offering a full-security stack baked-in to the solution, SDWaaS minimizes complexity while still delivering enterprise grade security features. Reliable- A Tier 1 ISP supported backbone, multiple PoPs across the globe, and self-healing and failover features enable enterprises to achieve the uptime required of a high-performance global WAN. While there are a number of SD-WAN offerings, only SDWaaS offers enterprises a scalable, holistic WAN solution. Other offerings require tradeoffs that simply aren’t pragmatic at the enterprise level. With SDWaaS, enterprises can count on the getting security and reliability they need out of their WAN without the need for a patchwork of third party appliances and services.